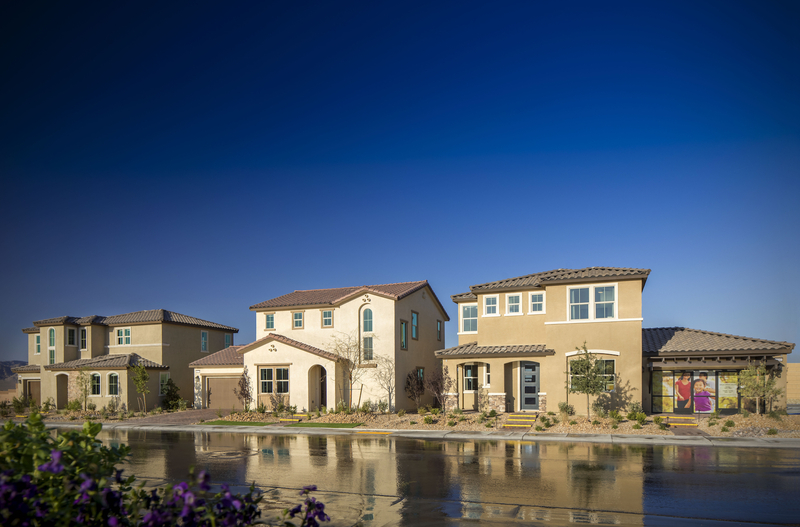 Woodside Homes announces the debut of Pinyon Chase, a neighborhood consisting of 110 new homesites in the the Skye Canyon master planned community, located in Northwest Las Vegas at 95 and Skye Canyon Park Drive. Quick move-In, designer homes are now available at Pinyon Chase with floor plans ranging from three to five bedrooms, 2.5 to 3.5 bathrooms, and prices attractively starting from $316,990. Home sizes range from 1,693 to 2,156 square feet. Skye Canyon is ideally situated between the Las Vegas Strip and the recreation meccas of Mt Charleston and Lee Canyon. The vibrant community immerses residents in the best that Las Vegas has to offer and encourages a healthy, active lifestyle with a vast array of amenities. Homeowners enjoy close proximity to familiar shopping and entertainment destinations, and easy freeway access for convenient commutes to work and school. These larger homesites allow the garage to sit beside the home, a design feature that makes homes appear bigger and provides more space and privacy between neighbors. Homeowners have the opportunity to visit Woodside Homes’ Inspiration Gallery where a designer will guide them through an impressive array of options for finishes, fixtures, flooring, and more. Pinyon Chase residents will enjoy all that comes with a new home in Skye Canyon, including access to the impressive sports complex, the Skye Fitness center, and the 15-acre community center to enjoy a meal at the Skye Bistro and relax on one of the many covered patios that offer free WiFi. Dogs of homeowners will appreciate a game of fetch or a walk around the dog park, while kids of all ages enjoy the swimming pool and splash pad. A network of walking paths and bike lanes connect the various Skye Canyon neighborhoods. Abundant community events and activities are regularly planned as a welcome addition to the coveted Skye Canyon lifestyle. Interested buyers are invited to call 702-279-6734 to schedule a tour or stop by to discover the ease of becoming part of Skye Canyon’s newest community. Visit https://www.woodsidehomes.com/nevada/nevada-community-pinyon-chase-at-skye-canyon for more information. 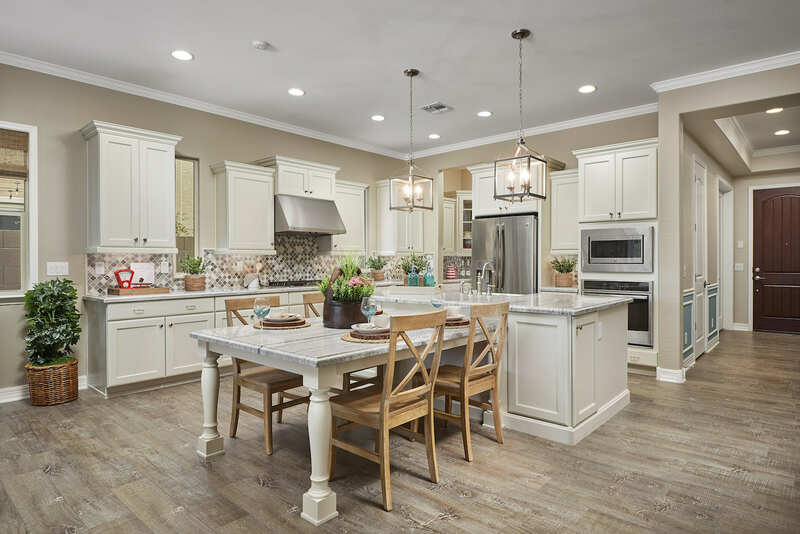 SURPRISE, AZ – Woodside Homes announces the opening of new model homes in Zanjero Trails, located in the West Valley, just outside of Phoenix. Situated near the White Tank Mountains, this picturesque community immerses residents in Arizona’s stunning desert terrain and ideal climate. Zanjero residents can take advantage of quick access to shopping, entertainment, employment, and professional sports with easy access to the 303 Loop, 101 Loop, and the I-10 Corridor. Each Zanjero Trails home features the latest in sustainable design, energy efficiency, and outdoor living. Multiple architecture options and six open floor plans between 1,938 to 3,798 square feet are designed to meet the evolving needs and expectations of the modern family. Available floor plans consist of three to six bedrooms, 2.5 to 5.5 bathrooms, and two-car garage. Zanjero Trails offers a rare opportunity to own a high-quality, new construction home at an attractive price point starting in the mid $200s. Homes are constructed to ensure exceptional efficiency achieved through improved thermal systems, right-sized HVAC, low emissivity windows, and energy efficient lighting and appliances. 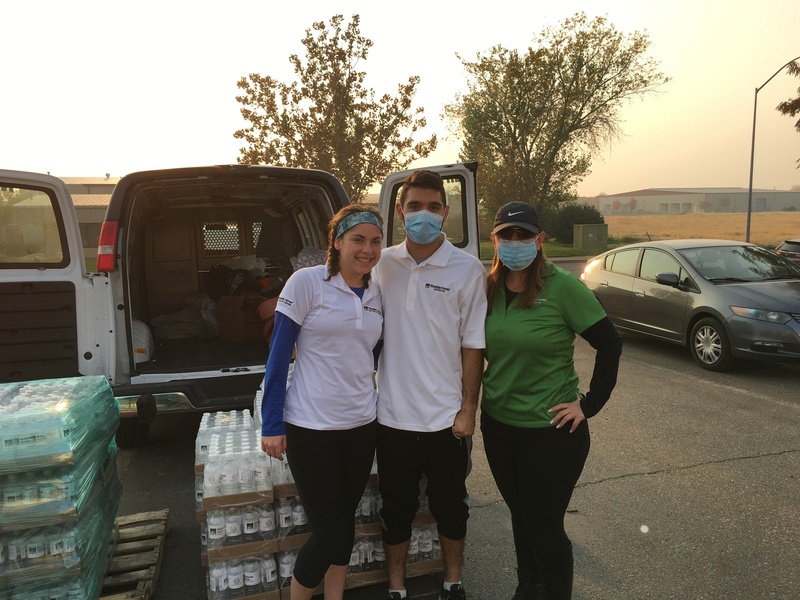 This building strategy reduces utility costs, maximizes comfort, and helps the environment. Each residence is also equipped with Smart Home technology that consists of Bluetooth Smart deadbolt, Ring Wi-Fi doorbell, Wi-Fi programmable thermostat, and Wi-Fi garage door opener. Woodside Homes is revered for offering buyers expert guidance from a designer to help them personalize their residences to best accommodate their lifestyles and design tastes. Homeowners have the opportunity to visit the impressive Woodside Homes Inspiration Gallery to hand select their finishes, flooring, fixtures, and more so that their home is truly their own. Future residents will have an array of amenities, including a playground, tot lot, and ramada with picnic tables and benches. Active families will enjoy hiking and biking within the community and throughout nearby regional parks. Model homes are now open at Zanjero Trails. For more info about the incredible homeownership opportunities at Zanjero, visit https://www.woodsidehomes.com/arizona/arizona-community-zanjero-trails.